If you believe that Junior is still too young to get into investing, that probably means that you’re not familiar with youth share certificates. Typically offered by community banks and credit unions, these are intended just for school-aged investors and are a fantastic financial learning experience for your child. You can tell your kids to think of their share certificate as a leveled-up piggy bank. Just like the grown-up version, youth share certificates are a way to save and earn money at the same time. It’s investing without any risk. As long as the money stays put for the agreed-upon term, your child gets it all back plus interest. Read on to find out what else youth share certificates have to offer your mini money mogul. Adult-oriented share certificates require a certain amount of money to be deposited, and that varies with terms and rates. But unless the local newspaper delivery route has gotten a lot more lucrative these days, your average kid isn’t going to have saved up the types of sums that will gain him or her access to a typical share certificate. Enter youth share certificates. These offer kid-friendly minimum balances, say, $500. Hoard away all that Christmas and birthday money for a year, and your little investor may already be in business. When offered through credit unions, youth share certificates are usually just one part of a broader youth savings club. That means that when your child deposits those savings into a certificate, he or she becomes a youth member of the credit union – not just a name on a joint account with a parent. This gives kids a sense of pride and a greater interest in learning more about banking and personal finance. Youth share certificates teach kids super-important personal finance lessons, where they learn through practice. When kids put savings into share certificates, they get to see their money grow. That’s a lot more exciting than squirreling it away in a piggy bank and forgetting about it. So they become a lot more likely to want to save even more and get that second or third certificate. Share certificates also teach kids that you can make your money work for you, and are a fun, no-risk introduction to investing. Who knows, your youngster may soon become the wealth-building expert of the family. Next stop, Wall Street? Not only that, but when credit unions offer youth share certificates and other youth banking services, they often also provide kid-friendly financial learning resources like games, articles and education to youth members. 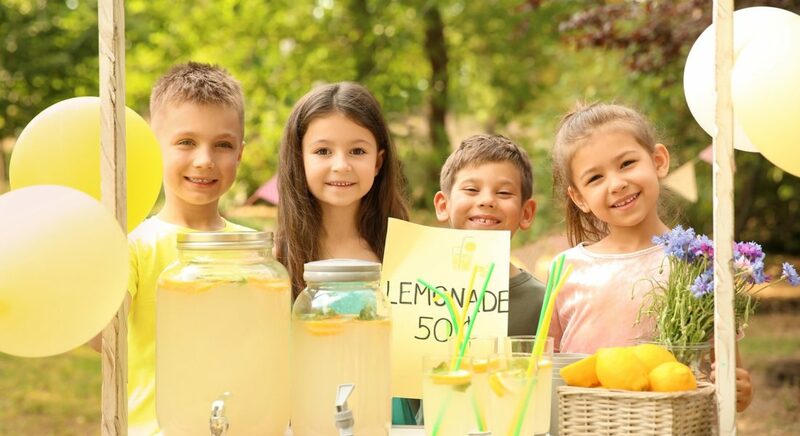 It's never too early to start teaching your kids healthy money habits. An allowance is just the start—from saving to entrepreneurship, here are five age-appropriate lessons. Share certificates are particularly attractive to those searching for a low-risk investment option with a guaranteed return. No, kids are not going to get rich off of the interest on a youth share certificate. But these certificates do prevent spur-of-the-moment decisions to blow savings on not-really necessary stuff. And, more importantly, they promote the habit of saving. So if your son or daughter stays committed to the saving-to-investing share certificate cycle, it could help build up some extra funds for that first car, that dream college, that gap year abroad – whatever adventures your young investor has in store.